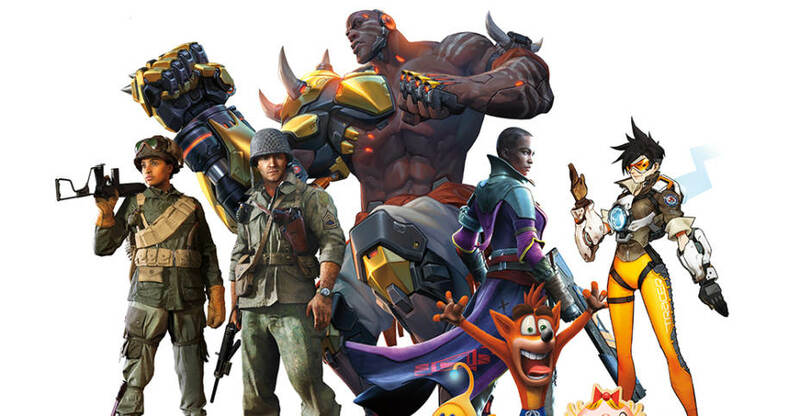 In a new press release, Activision Blizzard Consumer Products Group has announced a slew of new licensing agreements. These include news that Hasbro has gotten the Master Toy License for Overwatch, and that LEGO will be producing Overwatch Sets. NECA and Kidrobot will be producing new items based on Spyro The Dragon. Check out the details below. After the jump, you can see the full press release. Call of Duty: New partners include: McFarlane (Collectible Figures); USAopoly (Risk and Monopoly board games in North America); Pyramid (Homeware, Accessories); Poetic Gem (Apparel); Park Agency (Knitwear); Clairefontaine (Stationery). They join returning partners including Mattel (Collectible Construction Sets); Exquisite Gaming (Cable Guys, Crates); KontrolFreek (Gaming Controller Accessories); Bioworld International (Apparel, Accessories); Astro Gaming (Headsets); Trends (Poster & Calendars); among many others. Crash Bandicoot™: The massive popularity of the Crash Bandicoot™ N. Sane Trilogy will lead to platform expansion on June 29 and an expanded roster of partners to include: Just Toys (Backpack Hangers); BDA (Controllers, Accessories); Pyramid (Homeware, Accessories); NECA/Kidrobot (Collectibles); GameStop (Totaku Figures); and Park Agency (Knitwear). Returning partners include Changes (Apparel); Concept One (Accessories); Rubber Road (Apparel, Accessories); and Funko (POP! Vinyl Figures). Spyro™: In celebration of Spyro’s 20th anniversary, Activision is releasing Spyro™ Reignited Trilogy. The trilogy features all the nostalgia and fun of the three original Spyro games in a dynamic remastered collection. Activision is building a consumer products program to support the launch on September 21 with partners including: Funko (POP! Vinyl Figures); Changes (Apparel); NECA/Kidrobot (Collectibles); Surreal (Drinkware); Rubber Road (Apparel, Accessories); GameStop (Totaku Figures); Pyramid (Homeware, Accessories); and Exquisite Gaming (Cable Guys & Crates). Bungie’s Destiny: Their licensing program continues to give fans new ways of experiencing the rich characters and worlds of Destiny. New and returning partners include: Blizzard Publishing (Books); McFarlane Toys (Action Figures, Statues); Mattel (Construction Sets); Funko (Vinyl Figures); ThinkGeek (Vinyl Figures, Apparel, Accessories); Rocklove (Jewelry); Razer (PC Gaming Accessories); Surreal Entertainment (Drinkware); The Coop (Collectibles, Accessories); USAopoly (Puzzles, Chess Set, Playing Cards); Rubber Road (Apparel, Accessories); and Gaya Entertainment (Apparel, Collectibles). The merchandising program is seeing international expansion with the appointment of Bits and Pixels as the licensing agency for the EMEA territories. For licensing inquires related to Destiny, please contact: licensing@bungie.com. Overwatch: With a player base of 40 million¹, Overwatch’s wide appeal continues to drive a robust merchandising program supported by new and returning partners including: Hasbro (Master Toy); NERF (Blasters); LEGO Group (Construction); UNIQLO (Apparel); Bioworld International (Bags, Accessories); Spirit Halloween (Costumes); Disguise (Costumes); Brown Trout (Calendars); Insight Editions (Stationery, Cookbook); Trends (Posters, Sticker Packs); Just Toys (Sticker Books); Good Smile Company (Figures); Razer (PC Peripherals); J!nx (Apparel, Accessories); Dark Horse (Artbook); Funko (Apparel, Bags, Home Accessories, Figures); and Scholastic (Books). World of Warcraft®: More than 100 million passionate players have enjoyed the ever-evolving online adventure of Blizzard’s seminal massively multiplayer online role-playing game World of Warcraft¹. Partners include: Brown Trout (Calendars); Del Rey (Novels); Panini International (Novels); AST (Novels); Jeu Media (Publishing); Ju Ju Be (Bags and Accessories); J!nx (Apparel, Accessories); Insight Editions (Cookbook); Funko (Figures); and Dark Horse (Publishing). Hearthstone®: Blizzard recently launched the 12th content release for Hearthstone, its internationally acclaimed free-to-play digital card game that continues to engage and delight a massive global audience across PC and mobile platforms. Licensees include: Insight Editions (Pop-up Book); Displate (Fine Art); Panini International (Art Book); and Huginn & Muninn (Art Book). 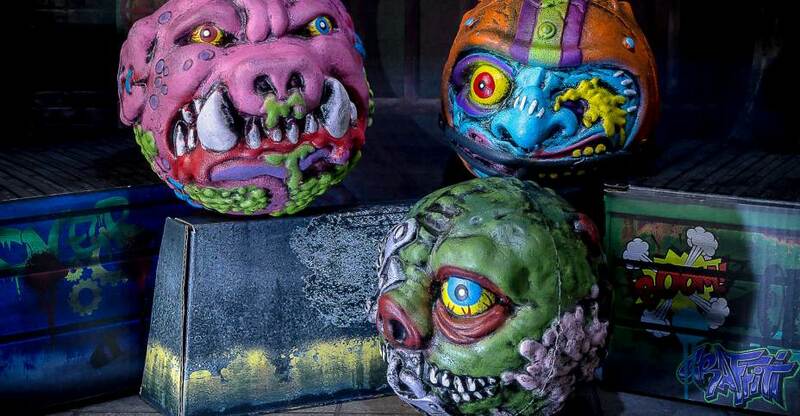 Just about a year ago, I went through and did photo shoots for a number of new Madballs from Kidrobot. 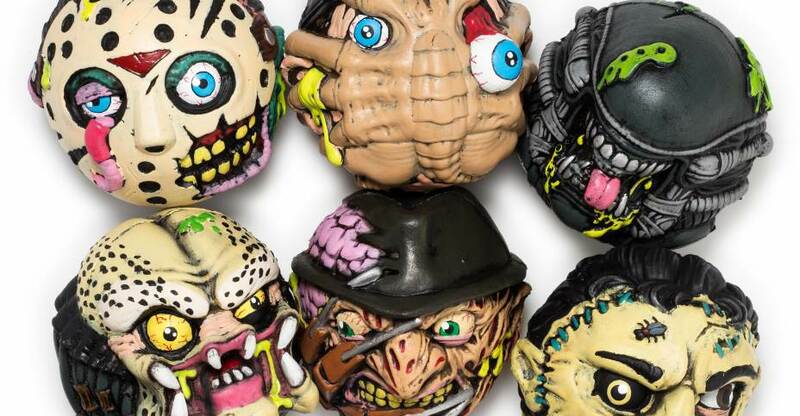 These includes two sets of blind box Madballs, their 4″ sized Madballs, and their 6″ sized Madballs. 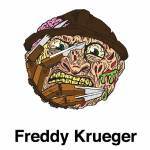 Late last year, a special series of horror themed Madballs were released in the 4″ size. 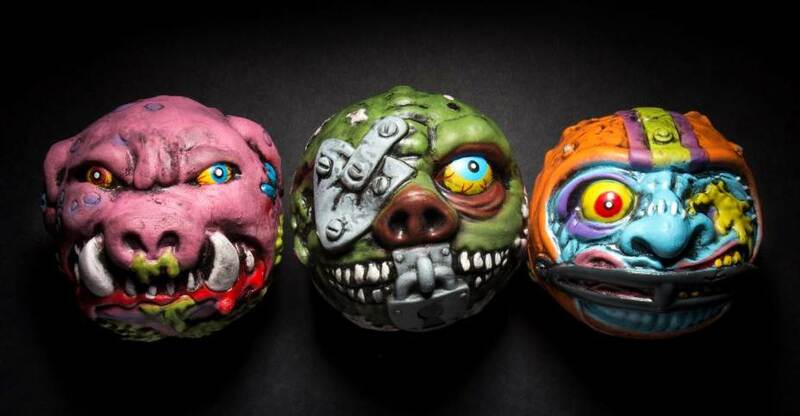 Announced last month and quickly released, the new Madballs 4″ Series 2 Assortment features three new takes on the classic toys. In this assortment, you can find Freaky Fullback, Swine Sucker, and Lock Lips. Toyark sponsor Entertainment Earth sent along the new Madballs for us to check out. After the jump you can check out a gallery and some thoughts on the new releases. These are priced at $9.99 each. They are set for release in February. No images have been released yet, only place holder art. You can see those in the banner above. In 2017, we completed more photo shoots than any other year we’ve been live. We shared over 270 Total Collectible and Action Figure Galleries, totaling well over 350 action figures and collectibles. Between the three main staff members, we spent nearly every day this year photographing and prepping a photo shoot to share with our fans and readers. While I can’t promise that we’ll keep up that blistering pace in 2018, I can promise we’ll continue to bring everyone some fantastic galleries throughout the year. So, if you would like to revisit any of our photo shoots, or feel like you missed a few dozen galleries, you can see the full selection of photo shoots after the jump! At New York Comic-Con 2017, the Kidrobot booth featured mostly items for sale. Items included their popular vinyl releases, assorted style of Mad Balls and more. 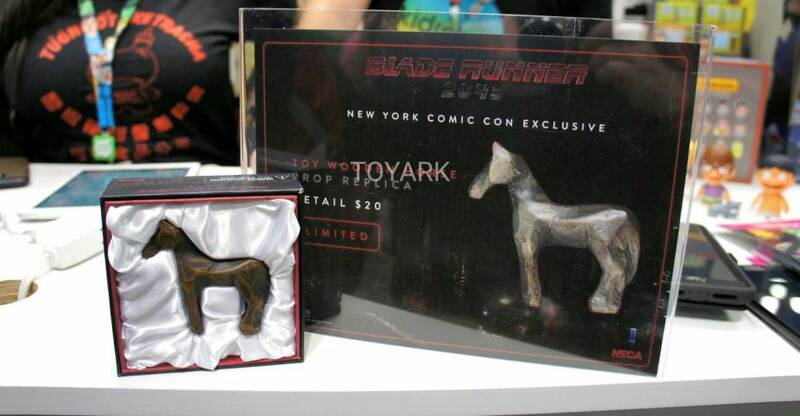 Debuting was the NECA Blade Runner 2049 Toy Wooden Horse Prop Replica. I was able to run out and grab the full assortment from a local Best Buy this week. 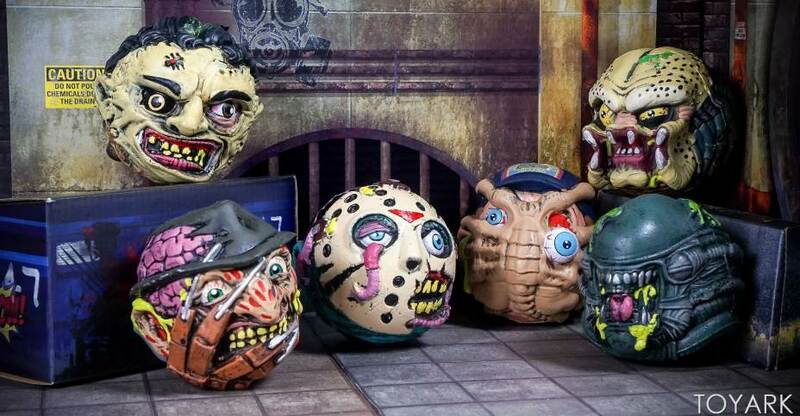 After the jump check out my thoughts on the Madballs as well as a full gallery. Read on to check out some photos. A wide array of San Diego Comic-Con 2017 Exclusives have been revealed for the Nickelodeon booth. 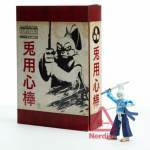 These include a new TMNT Usagi Yojimbo figure! The images come via Nerdist. Also included are some vinyl figures and a mystery box, though the contents aren’t a mystery.